Do not cooperate with the ‘Antisemitism Monitoring Centre’! We call on all Labour Party members to stay well clear of the Jewish Labour Movement’s latest stunt. The JLM, which is the sister party of the Zionist Labor Party in Israel, has written to CLP secretaries, asking them to distribute their “survey” on anti-Semitism in the Labour Party to all local members. Many CLP secretaries have quite rightly moved this email directly into their Spam folder. If you have been unfortunate enough to have received the email, we urge you to do the same. It is laughable to claim, as the JLM does, that it has “engaged, in good faith, with the Labour Party to try and solve the severe and ongoing crisis of Labour anti-Semitism”. The JLM has neither acted in “good faith”, nor has it got any interest in solving “the crisis of Labour anti-Semitism”. After all, the JLM has done tremendous work in making rare, isolated cases into a “crisis” in the first place. 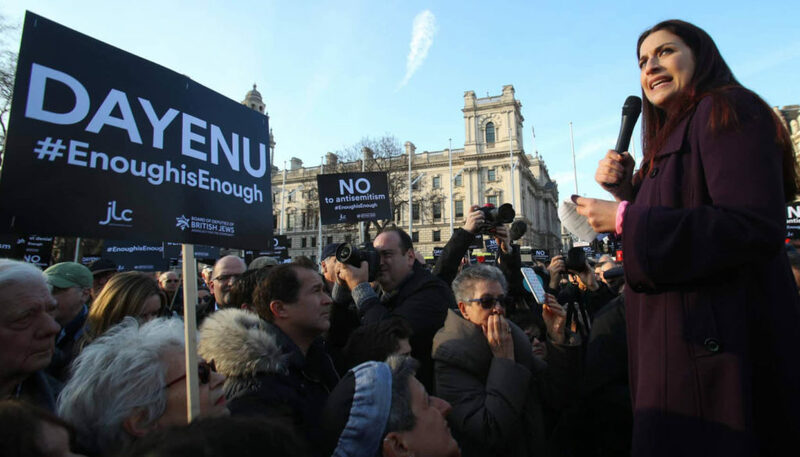 Hundreds, if not thousands, of supporters of Jeremy Corbyn have been witch-hunted in this campaign, which has nothing to do with fighting anti-Semitism – but everything with getting rid of Corbyn, a committed friend of the Palestinians. We have seen people being suspended for using the word “Zio” or for expressing their outrage of the horrendous crimes committed by the state of Israel in a confused manner. The vast majority of these people are clearly not anti-Semitic. And yet, they have been publicly labeled as such by the JLM, the Board of Deputies and the despicable Jonathan Sachs, who has gone as far as calling Jeremy Corbyn an anti-Semite. We know that the JLM has reported many cases to Labour’s compliance unit, often causing great distress to the members concerned. Socialists in the Labour Party should show up this “survey” for what it is – a clearly biased attempt to exacerbate the poisonous atmosphere of fear and suspicion in the party.